In this video I go through, in quite a lot of detail (! ), my initial slicer settings, run some test prints and think about the results…. How to Build a Cheap Prusa I3 MK2 3D Printer – Power Supply, Slicing & First Print!! Before the printing fun could begin, I needed to take care of some minor things, and one slightly more important thing – the power supply for the heated bed! For the moment all power for the printer is temporary so I make use of a 12v power supply that I already had. It doesn’t have the output to deliver power to all, but it should take care of the heated bed and I will continue to use the lab supply for the rest. I also made a few final (before first print!!) changes to Configuration.h and slice up the model using the Prusa version of Slic3r that you can download here. (Also contains the version of Pronterface I am using). If you want to see how my Configutation.h looks at this stage – grab it here . As I mentioned in the last post, after building up the extruder/hot end assembly I tried to feed some filament into it as you would in normal use. 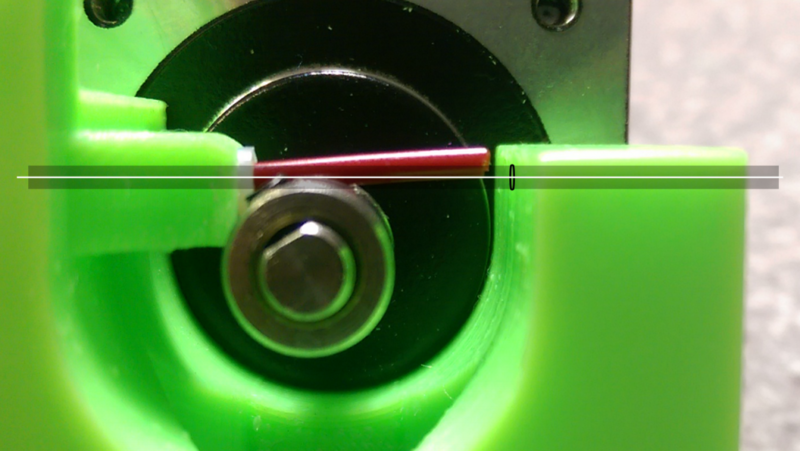 I noticed that this could only be done by opening the tensioner and having to use a screwdriver to push the filament so that it lined up with the teflon tube. Even once you have done that, because of the forced curve in the filament around the gear, it is very tight to push the filament down through the hot end. The basic issue is that hole in the extruder body which fits the teflon tube and the hole in the top where you insert filament are offset from the surface of the hobbed gear. I am going to guess the the MK8 hobbed gear is a slightly larger diameter than that the body part was designed for. By drilling/filing out both holes I have reduced the problem considerably, moving the filament is a lot easier but it is still not great. I know that the extruder stepper and driver already are a bit limited on power so the additional friction cause by this situation isn’t good. I will see how it works once I start printing. There are solutions, but nothing that simple. You quickly run out of material around both holes if you drill out anything more than 5mm. Also there is then nothing holding the teflon tube in place.